Home Categories Promotional Pens A New pen to the range! The Starco! 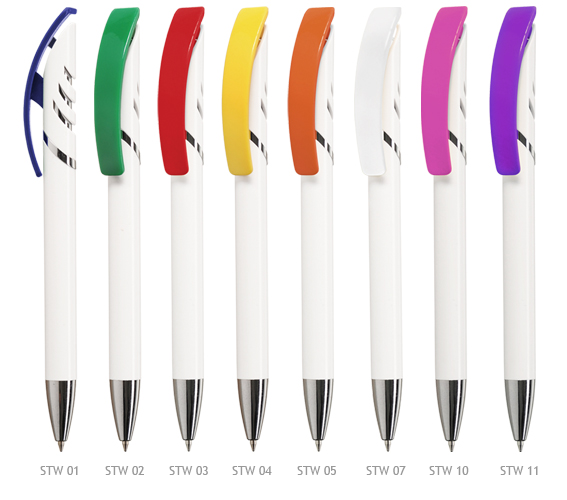 The Starco is a new pen to the range and is proving to be very popular! Available in a white with a choice of clip colurs – limited print area of 25mm x 7mm high. Prices include a single colour print. Unit price for 500 @ 45 cent / 1,000 @ 35 cent.